It looks like the next game to be released on the PARTY platform this time is Gossip Girl: PARTY, Voltage Inc.’s otome social version take of what we know in the West as the Gossip Girl novel series written by Cecily von Ziegesar that spans 13 novels, of which inspired the TV drama series of the same name that is loosely based on the novels and spanned six seasons. 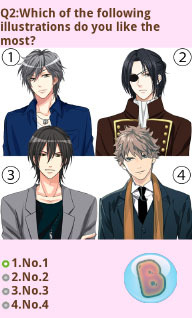 In Voltage Inc.’s adaptation, it seems to follow the drama series. 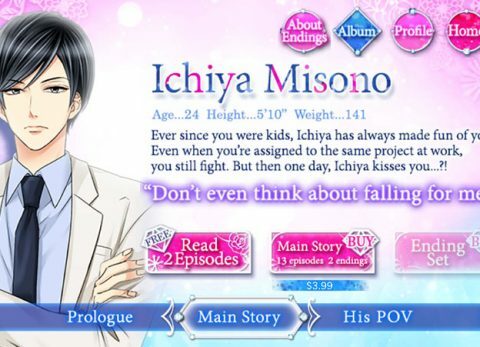 The release isn’t much a surprise considering two of Voltage’s first surveys in My Forged Wedding: PARTY, it’s first release under the PARTY series, included the Gossip Girl game as options and hinting for a possible future English release. If I am correct, the story follows a girl who moves to Manhattan, New York from Los Angelos, California to live with her father. Upon her arrival, she meets Serena van der Woodsen, who happens to be temporarily staying at the same hotel as the heroine. After some chat, the two become friends and they find out they will be attending the same high school. The heroine then meets with other people associated with Serena and begins to see that there is more to the Upper East Side than just glitz and glamor. 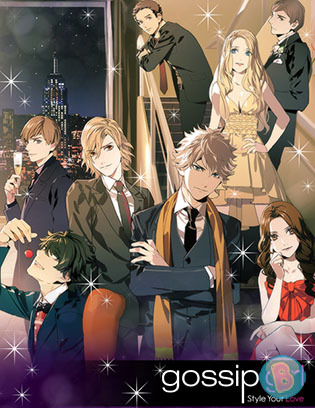 As far as the story goes and as far as I can tell, the story kind of intertwines/overlaps with the events of the TV drama, though I can’t say for sure since I only know of the game’s story through word-of-mouth and I’ve yet to get into the Gossip Girl series. From what my source says, though, the game’s story might be easier to follow if you’re familiar with the TV drama. It also seems there are spoilers for the show in the game as well? We’ll have to wait to find out, I suppose. I’ll give it a shot, but I’m kind of wary about it. A friend says that there’s a lot of drama, so I don’t think I’ll pick it up seriously. I’ll still post guides and Event Info when I can, so no worries there! Since I can’t post Event Info as soon as I’d like anymore, you’ll be able to find guides for them on the new Gossip Girl: PARTY Guides page. Like with everything else, I would really appreciate any help with the guides and info! So far, it only looks like Alex Lambert and Marc Jones will be available upon release, though we can expect the others to be released some time after. Going by all current PARTY games, I’m expecting that we’ll have to buy the Sweet Routes with Gems, which is another disappointment, but there’s really nothing we can do about it by now. The game will not be voiced, and it doesn’t look like there will be BGM, I believe. Looking back on past PARTY releases after My Forged Wedding: PARTY, it might be safe to assume that there will be a pre-registration campaign for each of the current three PARTY games. When that happens, I’ll be sure to make a post about it as well. There hasn’t been any official announcement on the release yet, so keep your eyes open for any announcements on Voltage Inc.’s PARTY series Facebook page, in any of the current PARTY games, or on the official PARTY Tumblr!